Exhibited all along the Conference at the WMW Forum Hall. Presentation of the exhibition on Friday June 28, 10:40-11:40. Forest of Mirrors is a photo exhibition consisting of 6 images, 3 short texts and one video (Point of view, 4 min), which the public will be able to watch on a small screen (provided with headphones). The Exhibition is the result of a collaboration between anthropologist Stine Krøijer and photographer Mike Kollöffel. The material was generated through fieldwork in the Ecuadorian Amazon between 2014 and 2017, and it visually conveys the relationship between nature and culture in light of Sieko-Pai cosmology. 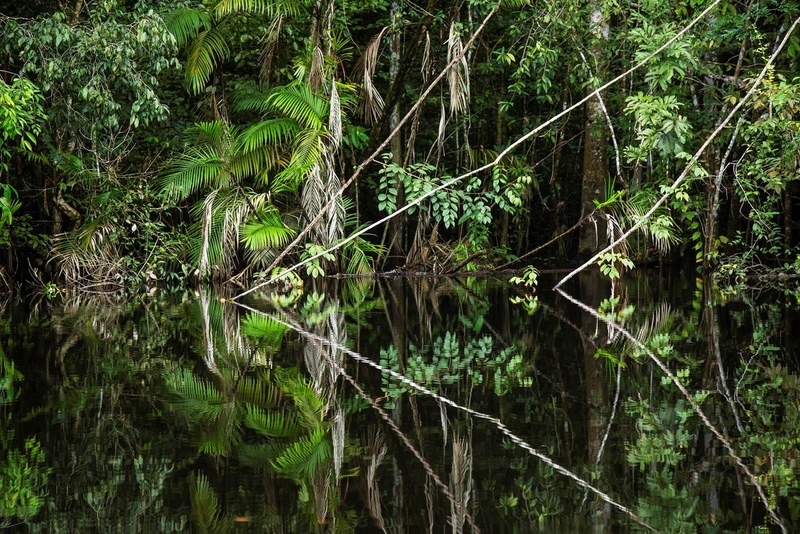 Forest of Mirrors explores the aspects and patterns of landscape that emerge when a forest mirrors itself in black water lagoons on the Amazonian border between Ecuador and Peru. Forest of Mirrors invites the spectator inside an animated landscape and hence a different perception of nature where humans, animal and spirits hold a common anthropomorphic essence (culture) that displays itself in different forms (or natures). In this sense, the mirrors establish a dialogue between different points of view.